Home Tags Posts tagged with "typhoon vongfong"
Typhoon Vongfong brought heavy rain and fierce winds to the southern island of Okinawa, Japan, causing flight cancelations and power cuts to over 20,000 homes. 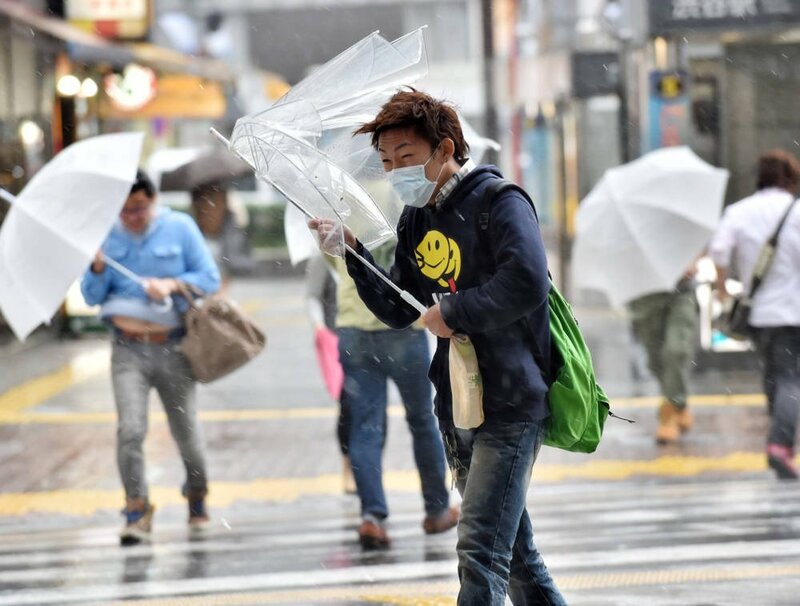 Officials have said the powerful typhoon will be the strongest storm to hit Japan this year. Typhoon Vongfong is now heading north and is expected to make landfall on Kyushu island on Monday. Earlier this week, typhoon Phanfone killed nine people in Japan. Officials have warned Vongfong could bring high waves, storm surges, flooding and landslides. Storm tracking website Tropical Storm Risk shows Vongfong losing power over the next few days, as it moves northeast along the rest of Japan. It is said to be carrying winds up to 145mph, but is moving north slowly, at 10mph. On October 10, an official from Japan’s Meteorological Agency told Reuters news agency: “There is no question that [Vongfong] is an extremely large, extremely powerful typhoon. It has picked up strength since it went through several South Pacific islands including Guam. The Associated Press news agency said it caused little damage on those islands. It had caused brief power outages and there were no reports of deaths or injuries. Japan’s Kyodo news agency said nine people are now known to have been killed by Phanfone, including three US military servicemen in Okinawa who were washed out to sea. Their bodies have since been recovered.